In case you don't know, the RB26 was the 2.6-liter twin-turbo inline-six engine found in the R32 Nissan GT-R the car nicknamed 'Godzilla' because it beat everything else it competed against on track. Although we never received the Skyline GT-R in the United States, they are now old enough to be imported. Even Nissan has acknowledged how popular the R32 was and decided to put spare parts back into production. Nissan has just announced an expansion to its heritage parts program by offering the engine from the R32 GT-R. 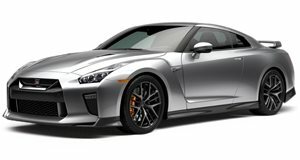 If you take a look on the Japanese webpage for Nismo, Nissan's in-house tuning division, you will see the company has added 24 new parts to its heritage catalog. Among these new parts, two stand out. You can now purchase the engine block for the RB26DETT engine for 170,000 yen (around $1,500). There is also a more beefed up version of this block, which was used in the later R33 and R34 models, and is capable of handling more power. Nissan will also sell other parts that are necessary to put the RB26 into a car, including cylinder heads, fuel pump assembly, muffler assembly, and engine harness. The parts catalog also includes new exterior pieces such as the hood, fenders, and roof. It will now be easier than ever to drop a brand-new RB26 into your latest build or keep your current R32 on the road. This engine originally produced around 276 horsepower due to a gentleman's agreement on engine output in Japan. In reality, it produced a lot more and could be tuned to bonkers levels of power. Nissan is only offering the parts in Japan but we wouldn't be surprised if a few ambitious enthusiasts find a way to ship them to the US.